The government says it wants to ban outright Section 21 'no fault' eviction powers in England and Wales. 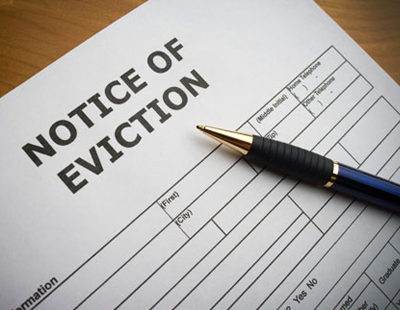 Instead landlords seeking to evict tenants would have to use Section 8, which can be implemented when a tenant has fallen into rent arrears, has been involved in criminal or antisocial behaviour or has broken terms of the rent agreement, such as damaging the property. The government says it will amend Section 8 to allow it to be used by landlords if they want to sell the property or move back in themselves. 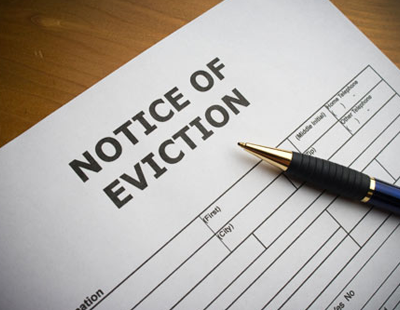 Unlike S21, tenants can challenge S8 evictions in many cases. Trade organisations have reacted with anger to the proposal that these so-called ‘no fault’ repossessions are to be ditched. David Cox, ARLA Propertymark chief executive told Letting Agent Today: "The effects of the Tenant Fees ban from September 1 have not yet been felt. Although in the majority of cases there is no need for Section 21 to be used, there are times when a landlord has to use the measures to regain posession of their property. An end to Section 21 could be devastating for existing supply in the private rented sector and on new landlords considering investing in buy to let properties." And the Residential Landlords Association says such a ban could carry serious dangers. “Whilst the RLA recognises the pressure being placed on government for change, there are serious dangers of getting such reforms wrong. With the demand for private rented homes continuing to increase, we need the majority of good landlords to have confidence to invest in new homes” says David Smith, policy director at the association. The RLA warns that at a time when the demand for rental homes is outstripping supply, especially among vulnerable tenants, the government risks exacerbating the problem if it does not ensure that landlords have complete confidence that they can repossess properties swiftly for legitimate reasons. These include tenant rent arrears, tenants committing anti-social behaviour and landlords wanting to sell their properties. The association says that with the government’s own data showing that it takes over five months from a private landlord applying to the courts for a property to be repossessed to it actually happening, it is vital that a reformed and improved court system is able to ‘bed in’ and the grounds to repossess properties are properly improved before making changes to Section 21. This would follow the lead set in Scotland. Research by Manchester Metropolitan University for the RLA found that in a large majority of cases where tenants are asked to leave their properties under Section 21 notices there was a clear reason. Half of the notices were used where tenants have rent arrears, were committing anti-social behaviour or damage to the property. Other common reasons included the landlord needing to take back possession of a property for sale or refurbishment. The report’s authors argued that this “raises questions” about whether the use of Section 21 notices could properly be described as ‘no fault’ evictions, as some have called them. The RLA says it will shortly be consulting the landlord community to establish what measures would be needed to ensure they have confidence in the system before efforts are made to end Section 21 repossessions. And another trade body, the National Landlords Association, is also lambasting the government’s proposal to remove Section 21 ‘no fault’ evictions, essentially creating indefinite tenancies. Richard Lambert, NLA chief executive, says: “Landlords currently have little choice but to use Section 21. They have no confidence in the ability or the capacity of the courts to deal with possession claims quickly and surely, regardless of the strength of the landlord’s case. England’s model of tenancy was always intended to operate in a sector where Section “21 exists. This change makes the fixed term meaningless, and so creates a new system of indefinite tenancies by the back door. Here is how Theresa May and Housing Secretary James Brokenshire have described today's move. Poll: Should S21 be scrapped? The buy to let party is over. No political party will promote it. Exit via the gift shop. Totally agree with your comments that the Government appears to see landlords as an extension of the Social rental sector. Also if a private landlord wants their property back which is owned by them then they should be able to get it back it is their property Legally! They're going to consult? That's a joke. As with other consultations, fee ban, longer tenancies, they are just ticking a box which they then just ignore! The headline was banning S21, the issue is not so much to do with S21 more to do with S8. Very few landlords use the S21 for a no fault eviction process, most use S21 for other reasons such as rent arrears breach of tenancy because the S8 process is not fit for purpose. S8 is rife with pitfalls, loopholes and opportunities for the tenants that know the system (& "charities") to exploit. Delays cost landlords money and there is often no recourse on the offending tenants so landlords take a view that at least S21 gives them certainty; they write off any tenant debts just to get the property back. In addition, when the tenants owe the landlord money for rent, repairs etc. the tenant must immediately, without any further court action receive a County Court Judgement for the debt; if the tenant owes rent they must not be given Carte Blanc to go and do it again to another landlord. A central register which can be accessed by landlords and agents which shows all offending tenants must be produced. In my opinion, if a tenant discovers that he/she/they are going to get a CCJ, it will focus their minds and moderate their behaviour. So, this means radical changes to the court system with accessible court time for landlords and penalties on the system if it cannot perform; if the courts had to say, pay the landlords' rent and costs for any delayed time then landlords might not mind waiting. At the moment the biggest issue with landlords taking tenants to court via S8 is the uncertainty and the time delay - RESOLVE THAT FIRST BEFORE EVEN TALKING ABOUT BANNING S21! Stop talking so much commonsense.............you know Govt WON'T take a blind bit of notice of you. They want idiots like this David Alexander to trot out their rubbish!